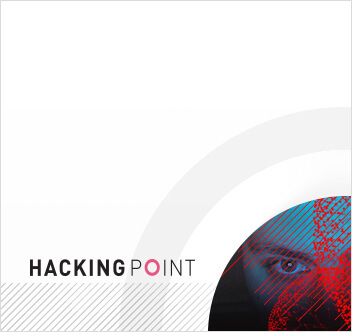 For the past 25 years, Check Point has been leading the cyber security industry while collecting vast amounts of high-quality, diverse data. This data is a gold mine for machine learning and analytics purposes, yet the data itself isn’t enough. Cutting edge ML models and analytics based on so much data must be supported by an eco-system of methodologies, infrastructure, and collaboration. We are looking for experienced backend developer who is eager to join the data science field. This is a unique opportunity for you to empower your engineering talents with machine learning approaches, and to make a great impact to an entire organization. You’ll do so by establishing methodologies, promoting best practices, and by building machine learning models, data pipelines and machine learning SDKs. You will take part in all the stages of the team’s projects: from conception and prototyping through implementation to deployment and maintenance. Among these projects are: training and serving frameworks, model evaluation tools, auto retrain models, centralized data store, stream & distributed training, and data exploration tools. You will also enjoy the work and knowledge of cyber researchers, analysts and fellow programmers and data scientist to deliver your own machine learning and analytics solutions. The fruits of your work will be used by the entire organization, fellow data scientists and developers alike. A fun environment where work-life balance is valued. Exploring the best cyber data source to be found. Working in a start-up environment within a corporate’s stability. Sharing your day with fun, passionate, brilliant people. 5+ years of experience as a python/java backend developer who worked on several production systems. Bachelor’s degree in computer science or related field (master/phd degree – advantage). Experienced with databases, data processing, cloud, docker & k8s. Experience with machine learning – Big advantage. Experienced with cyber – Advantage. Experienced with big data, complex data pipelines – Advantage. Positive, fun to talk and work with, who sees himself as part of a community. Open-minded, good communicator who can simplify complex ideas and designs. “Go-to” person, the one who finds opportunities where others see problems.